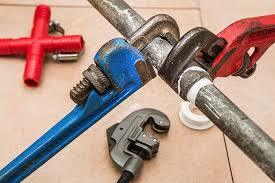 Your home’s plumbing system is one of its most vital components. Responsible for bringing fresh, clean water into your home and safely removing waste and waste water, modern plumbing is a lifeline that doesn’t always get the attention it deserves. Unfortunately, most homeowners don’t pay much attention to their plumbing system until there is a problem, and these problems are often disgusting and expensive to fix. The good news? Simply taking care of the system and using it properly is a good way to prevent most disasters. At G.T. Campbell Plumbing, we’ve seen a lot over the years, but there are a few problems that we see time and time again. Here are a few of the most common culprits for plumbing woes. If you use your toilet or garbage disposal as a trash can, you’re setting yourself up for a plumbing disaster. Metal, plastic, glass and paper (other than toilet tissue) belong in the garbage can, not your drains. They can cause serious blockages and other costly damage. When it comes to clogged drains in the kitchen, grease is one of the most prevalent causes. You should never pour hot grease in your sink or put any type of grease in your garbage disposal. Even if it makes it past the drain, it can still cause sewer clogs and backups. Save yourself a lot of hassle and expense by putting grease in the trash can where it belongs. In the bathroom, hair is one of the most common causes of clogs. Sometimes it travels through drains with ease, but sometimes it gets caught up with other debris and forms a nasty clog. Tree Roots. Tree roots search for water wherever they can find it. Unfortunately, sometimes they find their way into the pipes in your yard and cause major drainage issues. Dealing with tree roots that have grown into sewer lines is messy and expensive, so avoid planting trees near outdoor plumbing lines. Chemical Drain Cleaners. A clogged drain is one of the most common plumbing problems, and it’s something that just about every homeowner will have to deal with at some point. Chemical drain cleaners may seem like a fast, affordable solution, but they’re extremely dangerous and often do more harm than good. When you’re dealing with a clogged drain, it’s safer (and ultimately more affordable in many cases) to call a professional. Despite your best efforts, you’re likely to find yourself in need of Macedon plumbing repair at some point. When you do, rely on the experts right here at G.T. Campbell plumbing. For a dependable plumber in Macedon, New York, please call 585-412-4008.